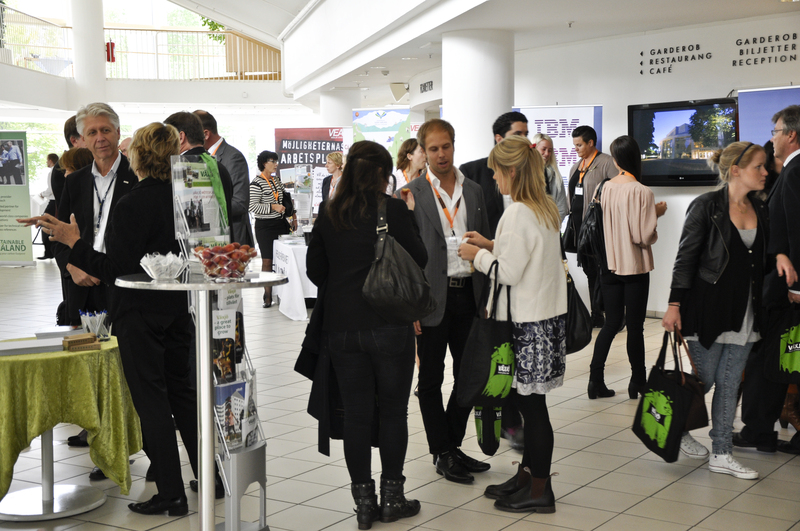 Karlskrona and Växjö hosted this year’s E-days. The two meetings focused on IT/Telecom and Cleantech. Both cities are located in the southern part of Sweden and both have excellent communications to the rest of Europe. EU has elected Växjö the “Greenest City in Europe” and the city is a model for how to apply CleanTech in all aspects of life. Karlskrona is home to more than 200 IT companies and has a research center for the IT/Telecom industry focused on IT applications simplifying everyday life. The conference opened in Växjö, The Governor of Kronoberg, Kristina Alser and the Lord Mayor of Växjö Nils Posse gave their introductions along with representatives from both the US Embassy and the Swedish foreign Department. The day continued with economists from both Sweden and the US highlighting the US and Swedish financial systems. Carl Bennet, owner of Getinge Group, a medical supply and infectious control company with operations in Europe, USA and China, offered interesting views on transatlantic trade and steps required to succeed in the USA. Seattle, USA and Växjö Sweden, all elected the “Greenest City” in their parts of the world. The Karlskrona program concentrated on Mobile Eco system, Apps and Cloud computing. All of them very hot topics. Company visits showcased examples of Sustainable Development. IKEA headquarters in Älmhult, Andritz, Alstom and VEAB offered insights on how they handle these issues. The delegates were also invited to attend a parallel conference called Food2011 where organic and small scale produced foods were introduced. Over 300 one-on-one business matchmaking sessions took place between the participants during the three days of conference. Individual follow up work is under way and we hope new business will thrive from this. This was another successful E-day event offering great opportunities for networking and new business contacts. Next event will most likely take place in Stockholm – details will follow.